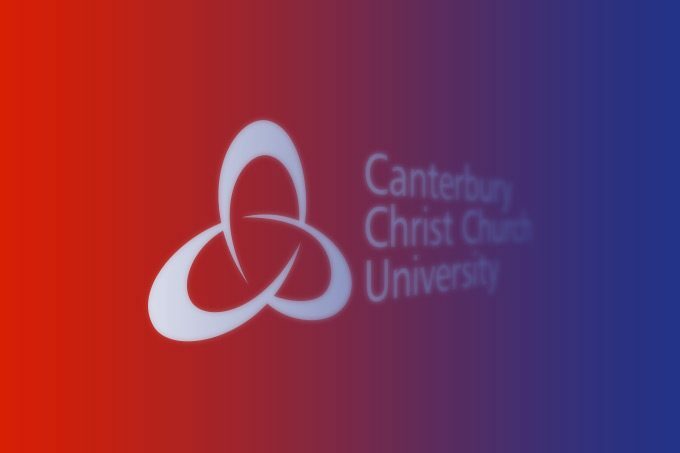 Dr Sarah Lieberman, Senior Lecturer in Politics & IR at Canterbury Christ Church University, comments on Chris Heaton-Harris’ request for names of academics teaching European politics and warns that the government must not be allowed to silence the voices of academics and experts on Brexit. The news that the Chief Tory whip wants all academics working on European Politics or Studies to submit their syllabus, lecture plans and all online lectures relating to this area – presumably to be analysed for anti-Brexit sentiment – has left me both speechless and apoplectic with rage. 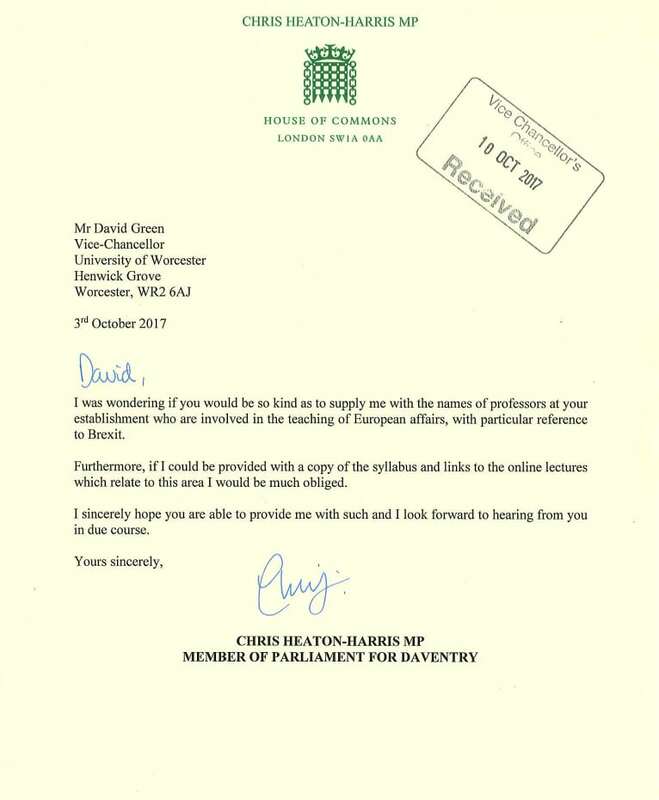 The Right Honourable Chris Heaton-Harris has written to all British Vice-Chancellors and asked for names of those teaching European affairs, with particular reference to Brexit. The Guardian notes that professors feel this may be ‘sinister’ or ‘McCarthyist’. The Guardian further notes that “within university departments focussing on European affairs Brexiters are a rarity”. There may, after all be a reason so few academics, and specifically European politics / studies / affairs academics are pro-Brexit, and this reason is that they actually understand the politics behind the UK’s membership of the European Union. These academics could tell you why the 27 Member States of the EU cannot discuss Brexit with Britain, and why a trade deal cannot be negotiated alongside the exit discussions. These academics have analysed the founding treaties of the European Union, and have analysed Article 50. These academics understand decision making in the European Union, and have spent years collecting the pros, the cons, the benefits and the downsides of membership. And, overwhelmingly, those academics, those experts who have devoted their working life to understanding this peace project, this trade body, this protectionist behemoth are overwhelmingly in favour of continued membership. In the run up to the Brexit referendum, ‘experts’ were discredited. Experts were put into a category of suspicion, and experts included academics. This is a dangerous precedent to set, and one whose logical next step is Chris Heaton-Harris’ request. I do not yet know what the UK’s Vice Chancellors will do: I hope in the spirit of equality and fairness that Mr Heaton-Harris will be told that if he wants to see lecture slides, he should pay his fees and attend class. 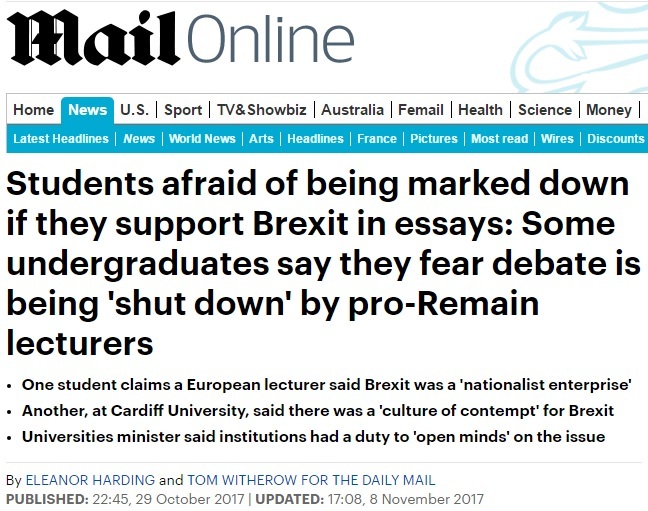 I certainly hope that they will respond that lecturers should, can and do teach to their own expertise and will continue to do so. Any deviance from this position is a very dangerous place to find ourselves. Do not fool yourselves. The government is trying to stifle opinion, trying to quieten academics and trying to quash all opposition. Do not allow this to happen.